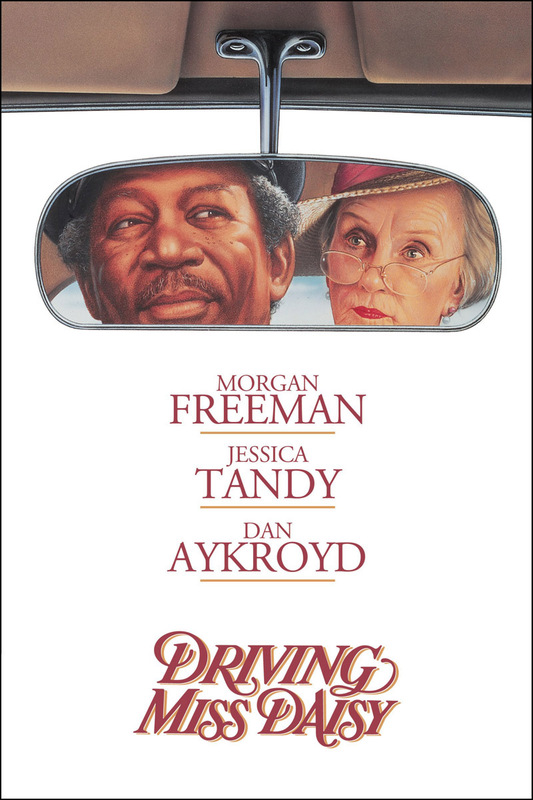 Jessica Tandy and Morgan Freeman deliver unforgettable performances as an elderly Southern Jewish widow and her black chauffeur in DRIVING MISS DAISY, the sentimental Oscar-winning exploration of civil rights based on the Pulitzer Prize-winning Alfred Uhry play. As social change sweeps the 1960s South, so is transformed the 25-year relationship between the wealthy, strong-willed Miss Daisy (Tandy) and Hoke (Freeman), her soft-spoken but equally indomitable driver, from suspicion and mistrust to respect and deep-rooted affection. With a melodious synthesized score by Hans Zimmer, the film also boasts a strong supporting ensemble with Dan Aykroyd as Miss Daisy’s son, Patti LuPone as his nouveau riche wife, and Esther Rolle as the housekeeper. Academy Award wins for Best Picture, Best Screenplay, and Best Actress (Tandy, at age 81, the oldest Best Actress winner). 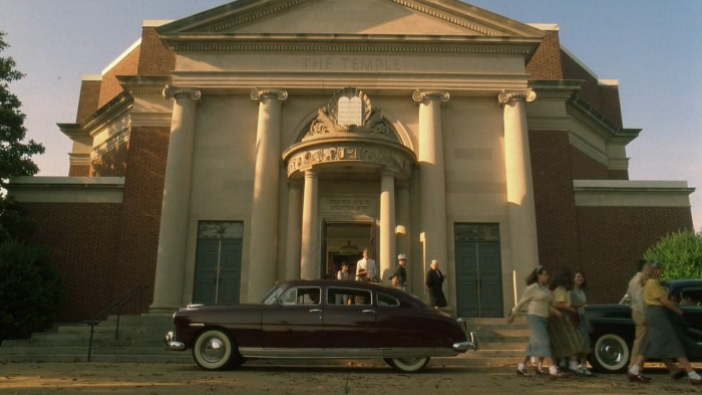 Filmed in and around Atlanta (with the driving scenes shot in Griffin), location cameos include Druid Hills, Lullwater Road, Agnes Scott College and The Temple. Fun Fact: Emeritus Rabbi Alvin Sugarman is featured in the film giving a sermon to the congregation. Watch a film trailer by clicking here.